The third child of Sam and Emma Wilcox, Elise was formally schooled at Punahou School and Wellesley College with a degree in education. She served as Hawaii's first woman in the Territorial Senate serving from 1932 to 1940 where she chaired the Education Committee. As was true with her grandparents and her mother, "Miss Elsie" knew education to be very important and Christian charity to be a virtue. She was a 1914 founding member of the Kauai Historical Society, serving as its Secretary throughout her life. For her work in education, the new elementary school in Lihue was named Elsie H. Wilcox Elementary School in her memory. 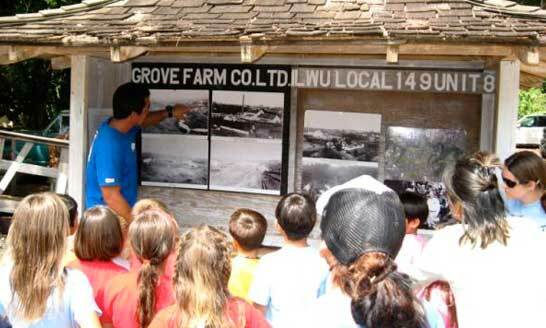 We invite you and your students to take part in the educational opportunities that abound at Grove Farm museum. 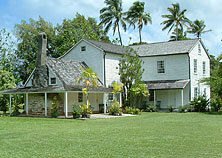 Available for school tours and other educational groups are the historic grounds, buildings, and the collections contained within, as well as a historic photo collection, oral histories of former plantation workers, ledgers of plantation workers and their pay scales, a collection of Hawaiian artifacts, and much more. Also, a ride on a restored sugar train along an authentic locomotive right-of-way can be arranged. We can assist your students in meeting the curriculum requirements that relate to benchmarks in the core content areas of English, language arts, mathematics, science and social studies. The extended core content areas of career and technical education (incorporating career and lifestyle skills), education technology and fine arts are also possibilities. Contact our Tour Coordinator at (808) 245-3202 or email at tours@grovefarm.org with any questions you may have or to make reservations for you and your students to visit. Reservations are taken on a space available basis and should be scheduled at least four weeks in advance. Although Grove Farm museum is not a public archives or reference library, our curatorial department is available to assist with historical research. Our research records and documents include reports of early missionary life in Hawaii, nineteenth century Grove Farm Plantation operational and employee records, maps and historic photos and film footage and Wilcox family letters and records. Research appointments and document digitization may be scheduled by contacting the museum curator. If your request is expected to take more than 15 minutes of staff time to research, you will be notified before any research is initiated. Research fees will be billed at $25.00 for each hour of staff time beyond the first fifteen minutes. Research fees collected will help support the ongoing cost for the museum’s endeavors. Contact Moises Madayag, museum curator at (808) 246-6093, email at gfh-curator@hawaiiantel.net or at Post Office Box 1631, Lihue, Kauai, Hawaii 96766. Inquiries may be submitted in writing to the curator. Requests will be handled as time permits, and may be subject to research fees and costs for photocopying and mailing. 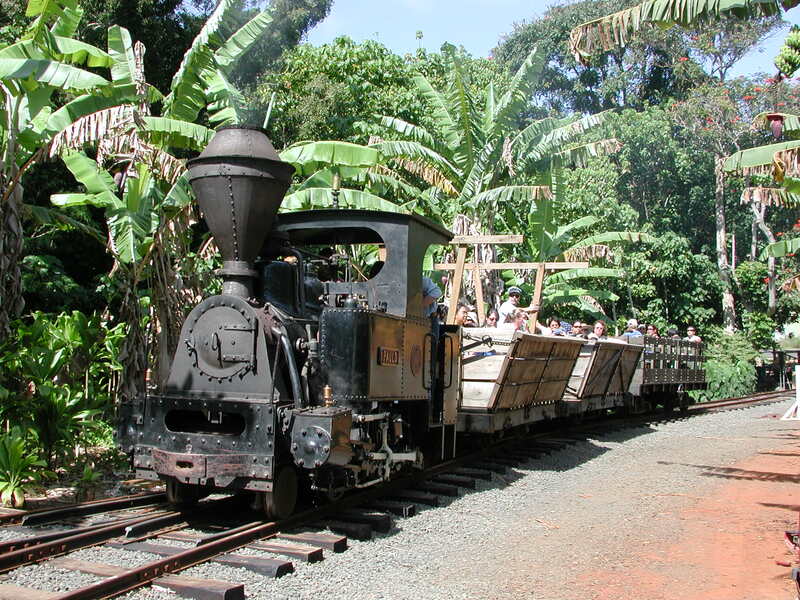 Waioli Mission House, Grove Farm and Mahamoku museums, as well as the Lepeuli ahupua’a and locomotive learning park, are all authentic sites of different eras of the island’s history—Hawaiian, missionary, sugar plantation, and sugar trains. These historic homes and sites have not been available for use by outside large groups until recently, and the current availability has been attractive to event and meeting planners because of the lack of commercialization or overuse. Events such as corporate meetings, weddings, and family reunions will have use of not only large spacious lawns with spectacular backdrops, but can also include guided tours of the homes and various cultural demonstrations. In addition to events, these sites have also been used as movie locations as well as the base camp of Pirates of the Caribbean 4 during its filming on the North Shore of Kauai. 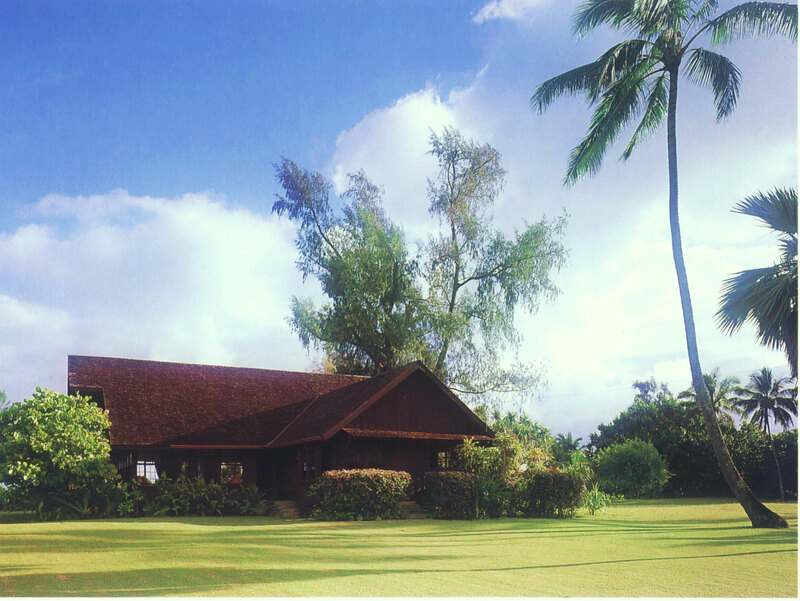 The Waioli Mission House site includes the grounds of the 1836 Waioli Mission House with the entire Waioli Valley as a visually stunning background from its floor of active taro farming to its majestic mountains. 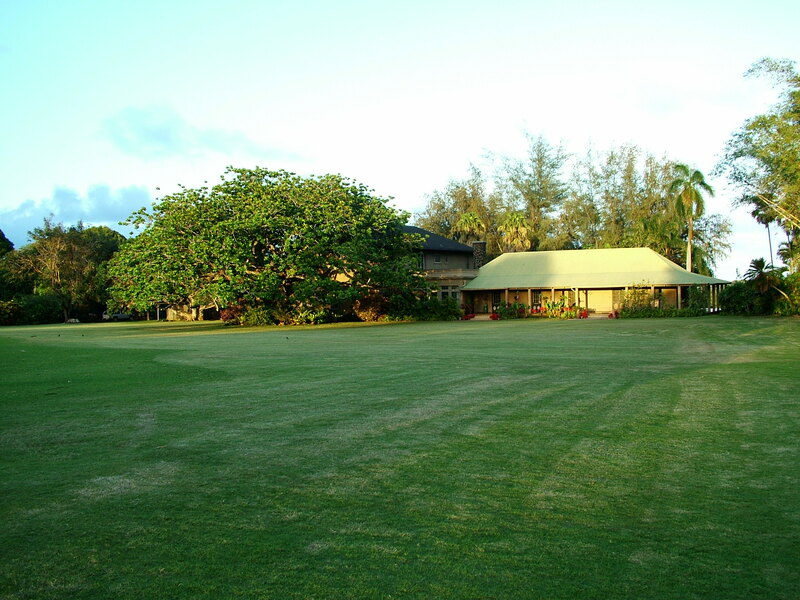 The Grove Farm sugar plantation homestead 100 acre site in the center of Lihue features a large expansive front lawn, the planter’s home, outbuildings and farm, and an impressive view over the Nawiliwili Valley. Mahamoku on Hanalei Bay is the last authentic 1914 beach house situated on one and three quarter acres with an impressive panoramic view of the bay and the spectacular waterfalls of Na Molokama. The Grove Farm locomotive collection in Lihue provides a site for parties or movie filming that offers the opportunity to ride in an authentic sugar cane car pulled by an historic Grove Farm Plantation steam locomotive along a mile of the original Lihue Plantation locomotive right-of-way above the Nawiliwili Valley. Contact Julie McLeod at (808) 245-3202 or grovefarm@hawaiiantel.net with inquiries.